Godolphin trainer Charlie Appleby believes the best is yet to come from Wild Illusion as she chases a Group One hat-trick in the Maker’s Mark Filly and Mare Turf at the Breeders’ Cup. The daughter of Dubawi will bid to back up top-level wins over a mile and a quarter in the Nassau at Goodwood and Prix de l’Opera at Paris-Longchamp last time when racing over a furlong further on November 3 at Churchill Downs in a race Appleby landed 12 months ago with the now retired Wuheida. 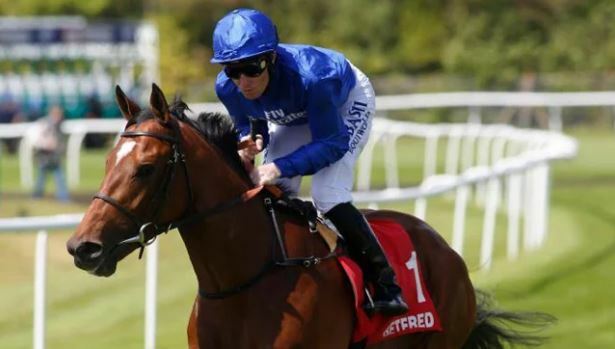 Appleby said: “The plan is to go out to America on Saturday morning with Wild Illusion, and she deserves to be there She has come out the race in France really well. “Although she has campaigned well so far over the summer, going back to her two-year-old career, the autumn is when she comes into her own. “She goes there in good order, and if she adapts to her surroundings she should be a player. The Newmarket handler also intends to run last-time-out Grade One winner La Pelosa in the Juvenile Fillies Turf, and Line Of Duty in the Juvenile Turf, on the opening day of the meeting 24 hours earlier. The 43-year-old added: “Line Of Duty has come out of his Group Three at Chantilly well. He has gained plenty of experience, although this is a step up in class. “We feel he has got the right sort of profile for the race, so we will head out there and see where we are. “La Pelosa won a win-and-you’re-in race at Woodbine last time, so she will take her chance in the Juvenile Fillies’ Turf race. She has a similar profile to Line Of Duty. 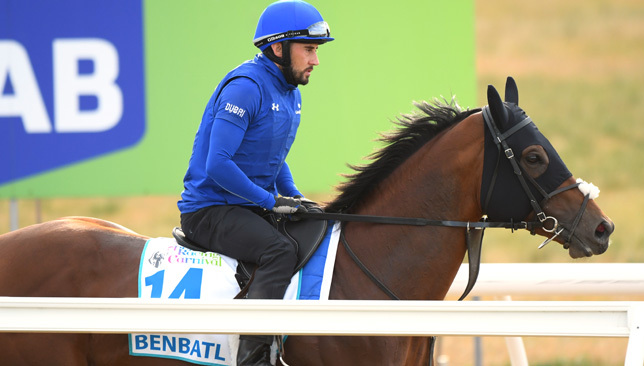 Godolphin‘s Benbatl will start from stall three as he clashes with superstar Winx in Saturday’s Cox Plate at Moonee Valley. Saeed bin Suroor’s charge won the Group One Caulfield Stakes on his Australian debut on October 13 having already secured top-level successes in Dubai and Germany earlier in the year. The 52-year-old Emirati told www.racing.com: “When he won in Dubai in March, the Group One Dubai Turf, he won it really well and that gave me the confidence to send him here. “This year, physically, he looks a lot better. When he was two he was a little bit weak, it took him time to show, but I knew he was going to be something good. “I looked after him, I didn’t want to rush him and then October time (last year) he started to show something, then I said I would keep him for this year. “The last race for him in England was the Juddmonte and he was unlucky that day as the horse in behind him hit him and he had big cuts on both legs. He was really bleeding after the race and I think that is why he finished fifth. While Bin Suroor is full of hope, he is under no illusions as to the task Benbatl faces in taking on Winx, who comes into the race on the back of 28 successive victories and will be seeking a fourth Cox Plate win on the bounce. Best Solution will head for the Lexus Melbourne Cup in great heart after a tremendous performance in winning the Stella Artois Caulfield Cup. The Saeed bin Suroor-trained colt was landing his third Group One event in a row and dug very deep to just prevail from Homesman in the tightest of photo finishes. Given a superb ride by Pat Cosgrave, the Godolphin-owned runner found things against him from the start, missing the break from his wide draw, but was coolly manoeuvred into a good position. Kicking rounding the turn with two furlongs to run, Cosgrave’s mount answered every call as the challengers loomed large, and got the verdict by a short head. The Cliffsofmoher (Cliffs Of Moher) was third for Aidan O’Brien, with the Andrew Balding-trained Duretto fourth. 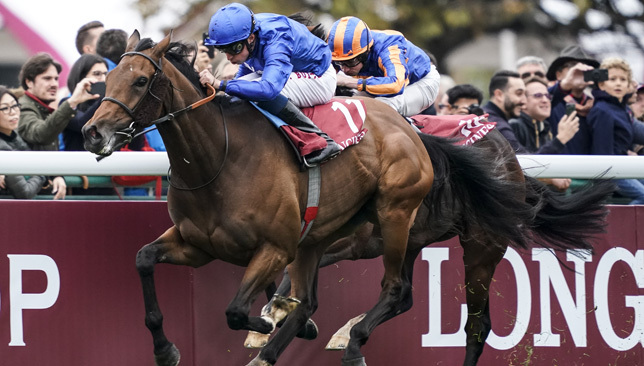 Bin Suroor, who teamed up with Cosgrave to win the Ladbrokes Stakes with Benbatl last weekend, told Racing.com: “It was Sheikh Mohammed’s decision to send him to Australia after he won two Group Ones in Germany and it is a brilliant result for him.